I know it might seem like an eternity since the kids started school holidays, but relief is in sight… I promise. 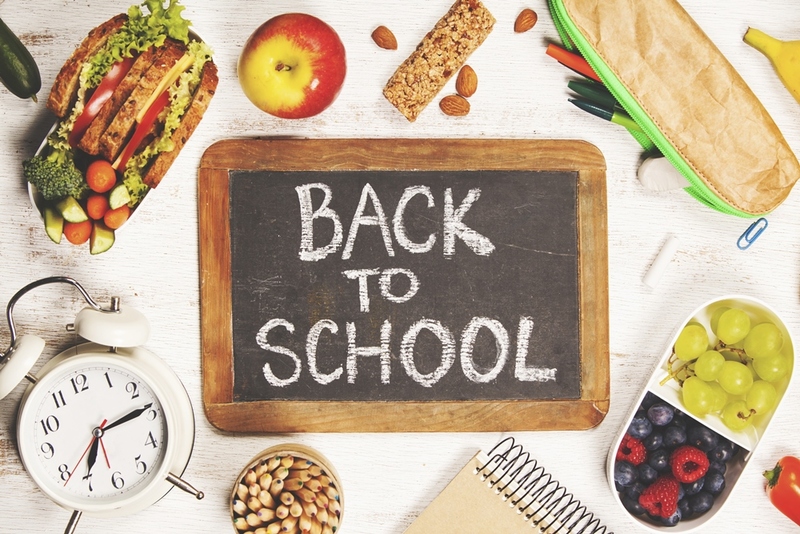 It’s not long now and the kiddies will be back to school and you will get your routine back. But, with that relief comes the grief of packing the school lunches. What do you pack? How do you make their lunches healthy, exciting, schoolyard friendly and something they will eat? Firstly, let’s cover off the practical side of packing a good school lunch being the lunch box. Picking a lunch box for your kids is up there with fruit, vegetables and water in the importance stakes. Unfortunately not all lunch boxes are created equally and the cute little character lunch box may not be the best option. We recommend a good quality lunch box that is going to be as safe for your kids as it is sturdy. Our top pick is a stainless steel lunch box. You might be surprised to read this and even wondering how you go about getting one. Don’t worry, we’re all over it and you can get them right here! I won’t lie, they are in the upper price echelon as far as lunch boxes go, but you can guarantee they will last from prep to 12 and beyond. They come with separated compartments so you can easily keep foods apart without the use of cling wrap or foil and 2 leak proof containers for yogurts or dips. You can even customise them with your child’s favourite magnets – the T-Rex and Fairy ones are our favs. Complete with insulated carry bag and cold pack to keep lunch cool and fresh, you won’t look back. The added bonus is they are 100% food safe, chemical free and environmentally safe too. If your budget doesn’t quite make it to the stainless steel realm, then you can’t go past the Yumbox range. Available in a plethora of colours, they also have separated compartments to keep food in its place and are completely safe. The Yumbox range is 100% BPA free and Phthalates-free which is a must for any plastic item. Ok, so now we have the storage sorted, let’s get stuck into what we fill our new lunch boxes with. Ideally, you want to be packing foods that your kids are going to eat. The most important thing is making sure your child’s energy levels are sustained with a healthy balanced diet. One mistake parents make is over packing food, worried your child is going to be hungry through the day. If you pack the right foods, they won’t be hungry. I read this little tip not so long ago and it stuck with me. Think 4 + 1. A main meal item – this would be a salad wrap or even healthy food muffin. Nutritious snack – a homemade gluten free ‘muesli’ bar or healthy slice is a great option here. Piece of fruit – your childs favourite fruit is a good option here or even cut up fruit salad. Drink – a bottle of water is a must for every school lunch box. Plus 1 – you may like to include an extra snack if your child is going to have a longer day or more active day than usual. You may like to include some coconut yogurt or some bliss balls for an extra boost to get them through. The other thing to remember is a lot of schools have a nut free rule in place, meaning nuts or products of nuts can’t be included in your child’s lunch box, even if your child does not have an allergy to them. Salad Wrap: Wraps are a huge hit as they are just a little more interesting than a sandwich. If you struggle to get your child to eat sandwiches or are looking to keep the bread intake down, then a gluten free coconut based wrap is a great alternative. They are also really easy to make – Pinterest is your best friend for gluten free wrap recipes. Fill with your child’s favourite salad and a protein such as chicken, beef or egg and you have a delicious and nutritious lunch. Adding some healthy fat like avocado can help to keep your child satiated. Salad: If your child loves a salad instead, then this is a great option for their lunch box. Mix in some chicken strips from a leftover roast, baby spinach, cherry tomatoes, carrot and cucumber sticks and maybe even some crunchy fermented baby cucumbers. A boiled egg was always a hit with my niece as well. Muffin Meal : No, this isn’t in the wrong category. An egg, bacon and vegetable muffin is a great way to get all their favourite healthy foods into one convenient muffin that will keep them going for hours. The added bonus with this one is you can pre-bake your batch of muffins for the week and freeze them ready for each day. You can also do this with breakfast muffins too! Homemade Muesli Bars: Kids love muesli bars, but from what I read, the good old store bought bars aren’t as healthy as we’d like to think. Homemade bars allow you to put in exactly what you like and you can make sure the ingredients are all natural. You can natural sweeteners for healthier options like rice malt syrup or all natural honey. You can also make them schoolyard friendly and keep them nut and allergen free by using seeds. Fruit Muffins: As we said before, kids love muffins and they are so easy to not only eat, but making them is a real time saver. In most cases, muffins can be high in sugar being more of a treat, but these lunch box muffins we found are sweetened with a small amount of honey and the blueberries. Yummo! Any piece of seasonal fruit is fine but most common choices are half a banana, apples or berries. Even though fruit is a healthy snack, remember that a lot of fruit is also high in natural sugars, so keep it moderated. Water, Water, Water! You can’t get any better than fresh, filtered water in your child’s lunch box. It’s the best for hydration and contains no sugar. Fruit juice is ok as an occasional treat but try to avoid this as much as possible. Most juice boxes are concentrated, high in sugar and in a lot of cases are not 100% juice. My daughter just loves her kefir and kombucha, so why not get daring and brew your own and let them give it a try. You might be surprised! If you think your child will need a little extra in their lunch box, then adding in some coconut yogurt or a nut-free bliss ball or fat bomb is a great choice. This will give them a boost as well as the guarantee they will eat it. They are healthy but seriously delicious! Do you have a lunch box favourite that you would like to share? Feel free to post the link so we can all check it out and hopefully kick some winning goals in the lunch box stakes. I also recommend checking out our new book library with great cookbooks all designed to heal your gut. We also have the “I Quit Sugar” book which is great for cutting out the sugar in your family’s diet. Affiliate links may appear in this blog, however we will only recommend brands and products that we use ourselves or fit into The Gut Healing Community values.